Want to drive a Ferrari 365 days a year? The Italians think the answer is the new Portofino convertible – a 2+very small 2 grand tourer costing £166,000. Lighter, faster than the out-going California, the Portofino is powered by a 3.9-litre twin turbo V8 that produces 591bhp. It’s a direct rival to the delightful Aston Martin DB11 Volante and if you are interested, the waiting list is getting longer by the day. It’s Ferrari’s new ‘everyday’ car. We drive it across the Cotswolds on a sunny morning in July…About six years ago I was whisked off to Maranello for a global press conference that was entertaining for all the wrong reasons. Coachloads of journalists had been shipped in from around the world to receive an update on the company’s progress – It must have cost millions and probably kept Alitalia in business for a whole year. Unfortunately, it was one of those PR disasters that in Italy involves somebody sleeping with the fishes. Coaches went round and round in circles, translation earpieces failed to work – the good people of the press were left bamboozled. To add insult to injury, the ‘big’ story was that Ferrari wasn’t going to embark on a massive sales drive, instead choosing to ‘preserve the brand’. Production would not increase and erm, what exactly was the story again? Well, that’s a little like being invited to the launch of the new Portofino. 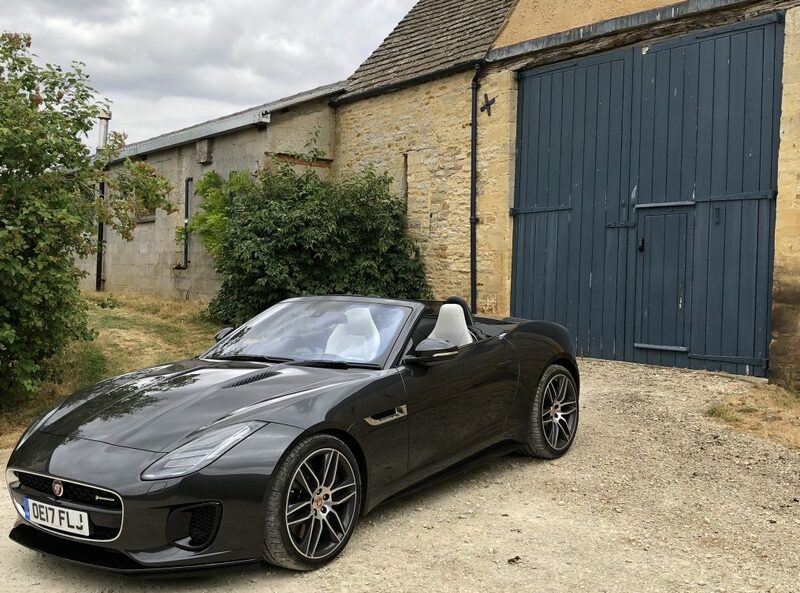 This is the natural successor to the ten-year-old California, a 2+2 convertible grand tourer that never really lived up to the hype. The Portofino obviously looks great roof up or down. It sounds amazing, is well proportioned and will fit newbie Ferrari drivers like a glove. Underneath, the framework allows the Portofino to be 35 per cent more rigid than the California and it’s lighter too. Stiffer suspension and electromechanical power assisted steering instead of hydraulic should improve the handling. A revised 3.9-litre twin turbo V8 sits up front, there’s an easy-to-understand 10-inch display and, well, it looks jolly from the inside and out. You can even fit two jockeys on the back seats. The hard top also folds up in 14 seconds and at speeds of up to 30mph. What’s wrong with it? At first glance, not much. The Portofino has incredibly annoying indicator buttons on the steering wheel and despite onscreen multi-adjustment of the seats it’s not a comfortable place to sit. But more importantly, what I’m missing from this Ferrari is the human touch. Everything about this car ‘feels’ like it is controlled by computers. There’s no drama and ultimately no skill involved in making it fly – and if you enjoy driving that’s a bad thing. I’m sure this is exactly what Ferrari want to hear because it is an easy drive at very fast speeds. Anybody could sit in this Ferrari and feel like Lewis, it’s very good at that. Me, I want to feel like Fangio and connect with the car I’m driving. I’d like to feel it through the seat of my trousers, the pull on the steering wheel. If that sounds old-fashioned then you take the Portofino and I’ll opt for the DB11.